Get involved with the RUB Alumni Network to keep in touch with former RUB members! We would like to invite you to stay in contact with us and your companions from your time at Ruhr-Universität Bochum. Anyone who has studied, taught or worked at RUB can join the RUB Alumni Network. Get your lifelong RUB e-mail address to let your alma mater keep you posted on news and developments at the RUB. Tell us about your experiences in your professional life and help us shape our RUB Alumni Network. 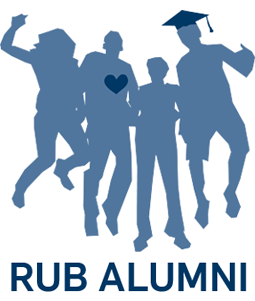 Become a fellow alumni and join us on: RUB Alumni Network. In order to learn about career profile examples of former MSS students, please click here.